October 8, 2015 (Ulson Gunnar - NEO) - There have been now several alleged "violations" of Turkish airspace by Russian warplanes operating from within and across Syrian territory. Conflicting reports have come out regarding how these alleged violations are actually being interpreted and responded to by Turkey itself, with the United States and its well-oiled media machine claiming armed confrontation between the NATO member and Russia is imminent, while other sources claim Turkey and Russia are in close communication and apparent violations have been excused by Ankara. Russian warplanes are obviously not operating in the region with the intention of threatening Turkey, its people or its military forces. Russian proximity to Turkey's border is born out of necessity to counter terrorist forces long-operating near it and even across it. Turkey is no stranger to crossing borders in pursuit of what it calls terrorists, and thus one would expect Turkey to appreciate Russia's current rules of engagement in the region. Even if Russian warplanes are crossing the border accidentally or in hot pursuit of terrorist forces, belligerence from Turkey would be widely interpreted now as unreasonable. The legitimacy of claims that terrorist forces in Syria, backed by a wide axis of regional players orchestrated by Washington, are 'moderates' has withered in the eyes of the general public. Russia's anti-terror coalition in Syria is steadily expanding both in operational dimensions and in terms of political support from around the world. While Washington's scorn is to be expected, attempts by Turkey to disrupt ongoing anti-terror operations undertaken by Russia in coordination with the Syrian government would be perceived globally as an act of unwarranted aggression and spite in defense of terrorists, not its own territory or people. Turkey's understanding, even cooperation with securing its border and eliminating terrorist forces operating along it, be they labeled the Islamic State or Al Qaeda or 'moderates,' could be the first step toward divesting from Washington's losing proposition and investing in Turkey's future among the new regional order being formed before our eyes. For Washington, fighting Russia down to the last Turk is an appealing proposition. Like Washington has accomplished upon the Arabian Peninsula where its allies Saudi Arabia and the United Arab Emirates have committed sizable military forces to be ground to a pulp inside Yemen, there may be hopes that Turkey can be convinced to confront the growing coalition in Syria to reverse or at least mire in perpetual chaos, what now appears to be the inevitable defeat for the West's regime change scheme. Any confrontation between Turkey and Russia would be costly for Ankara in military, political and even economic terms, denying Ankara alternatives to its Western ties and increasing its dependency on the West both in military and economic terms. That such desperate and risky options are all that is left for Washington and its various regional partners speaks volumes regarding just how far lost its original plans have become. To Ankara, and indeed all of Washington's partners in the region, immediate and incremental divestment appears to be the only viable option. Washington knows this, and so the game they play now is provocation on one hand, and entrenchment and doubling-down on the other. In the media, and perhaps even on the ground, Washington appears increasingly interested in provoking a conflict with Russia either inside Syria, or near Syria's borders where Russia warplanes are operating. And as always, Washington prefers that this confrontation take place not between US forces and Russia directly, but through one of its many regional proxies, including Turkey. For Russia, there is virtually nothing to be gained by provoking a conflict with Turkey. The two nations could be potent strategic and economic partners, providing Ankara with options should Washington's meddling within and along Turkey's borders become unbearable. And while Russia can be a powerful ally, it can also be a punishing enemy. 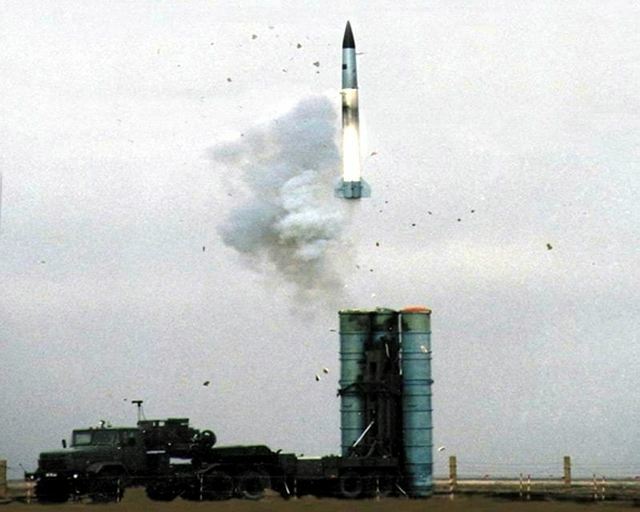 The Russian military footprint in the region is growing, with cruise missiles now raining in from the Caspian Sea from the east, and Russian warplanes carrying out an expanding military campaign from Syria's western shores. Any confrontation with Russia triggered by Ankara's belligerence would result in Russian forces slowly moving up to the Turkish border both with its air assets and its anti-air assets. 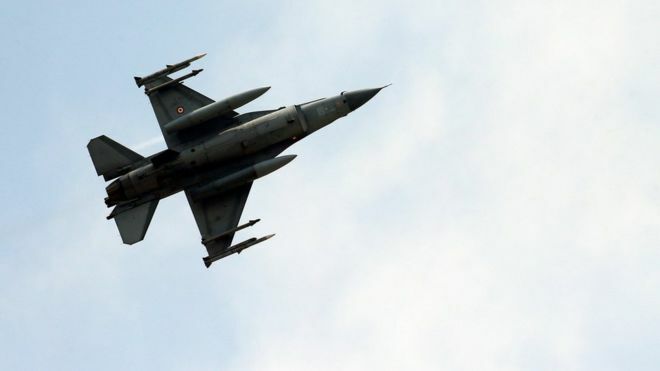 Together with the Syrian military, the prospect of establishing a no-fly-zone along and even over Syria's border with Turkey would be a humiliating reversal for Turkey who on Washington's behalf has maintained a defacto no-fly-zone over parts of northern Syria for years now. Russia has seemingly offered the various partners in the region a second chance, a chance to divest from Washington's schemes and to play a constructive role in a new Middle East where progress trumps perpetual provocations. Even the Saudis have been offered an exit from the self-destructive course Washington has set Riyadh on. They have unwisely refused it, and now face a growing battle on their own borders with Yemen, while their proxy forces abroad fighting in Syria face mostly decimation and for those that escape, a scurrilous homecoming back to the Arabian Peninsula where their support has originated. What will form in the vacuum of Washington's collapsing schemes is an arc of power that will isolate and overwhelm those forces destabilizing the region. Who those forces will be once this arc is established depends on who continues toeing Washington's failed agenda, and those who wisely begin divesting and cooperating with deconflicting the region.